Immaculate, wonderful 3rd floor unit with 2 BR, 2BA, & an additional room can be used as an office or den. Open plan with vaulted ceiling in the large great room adds height. Kitchen has lots of cabinets, counter space & large pass through into the great room. BRAND NEW, NEVER USED, washer & dryer in unit. Large master bedroom with vaulted ceiling includes a walk-in closet & master bath with dual sinks & shower. Second bedroom with lots of natural light. Enjoy the peacefulness on your covered balcony. BONUS, you have not only a designated parking spot but also a one car garage attached to the building. Condo community amenities include a Clubhouse, Swimming Pool & Fitness Center! 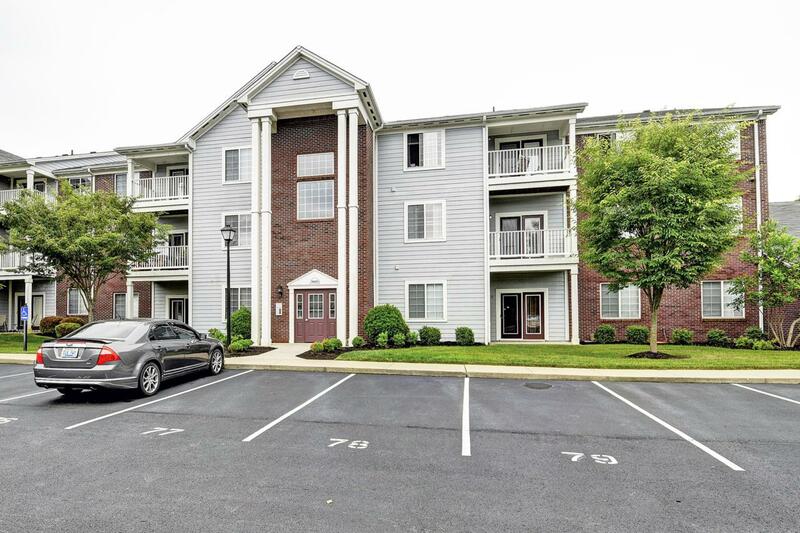 Convenient location near interstates, restaurants, shopping. Don't miss this 3rd floor unit!